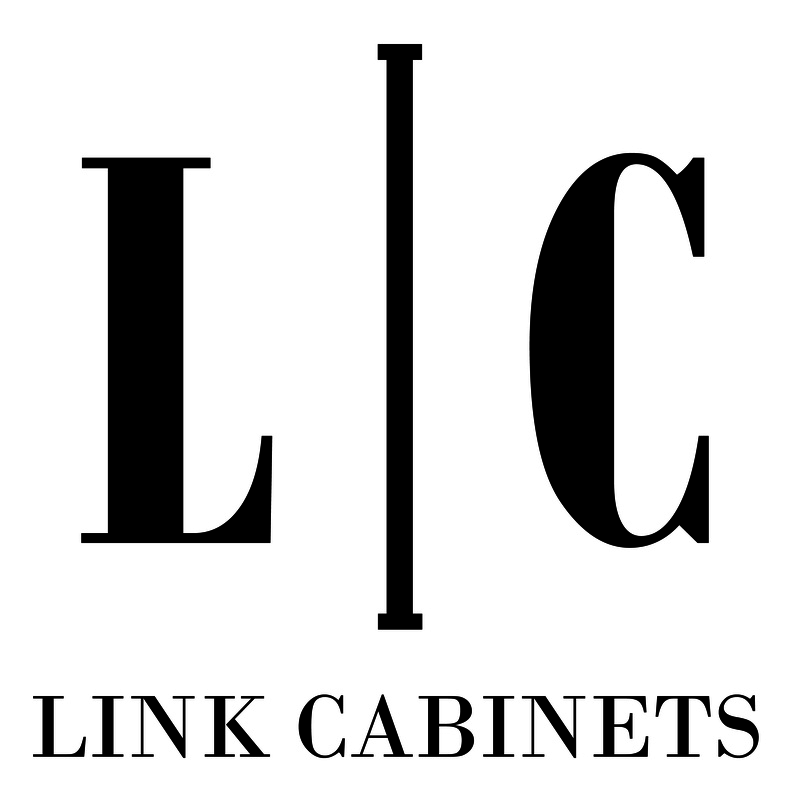 Link Cabinets offers custom woodworking for every room in your home. An array of styles, materials and finishes are available. We build furniture and cabinets for new construction, remodel, residential and commercial. This family owned business can do it all. From building a single door to a complete home project, Link Cabinets can accommodate any size project – no job is too large or too small. The flexibility of custom cabinetry is endless. Installation is also available from Link Cabinets to achieve a professional look. We are able and willing to use any other products available. Constructed with 1 ½ inch wide solid wood face attached to a box cabinet. There are many options for door and drawer overlays from 1/4 inch to full. Inset is also available. Constructed with 3/4 inch material and built as a box cabinet. Doors are full overlay with 3/16 inch spacing. Choose from slab, flat panel or shaker, raised panel and applied moulding. A variety of wood species is available including oak, maple, hickory, cherry, ash, butternut, alder, pine, quarter sawn white oak, walnut, birch and others. Paint grade and laminate are other options. Link Cabinets custom blends stain colors to your specification. After staining, our painter applies three coats of durable pre-catalyzed lacquer finish. We also offer painted finishes. Countertops are the central part of the look of your kitchen. Consider a countertop based on looks, durability and cost. Laminate: (Formica, Wilsonart, Nevamar and Pionite) Laminates have improved over the years and come in a variety of finishes and colors. They are durable, hold up well to stains and are a great choice for budget minded homeowners. Quartz: (Cambria, Hanstone, Silestone and Caesarstone) Made of resin and quartz chips tinted with color, engineered quartz offers a stone look and easy care. Solid Surface: (Corian, LG Hi Macs) Made primarily from polyester and acrylic, solid surface is maintenance free, seamless and offers extensive pattern and color options, as well as integrated sinks. Granite: Granite is available in a host of colors and patterns. Each slab of granite is one-of-a-kind. Its surface stands up well to heat, water and knife nicks. Wood: Link Cabinets offers butcher block or face glued tops in all wood species. Wood offers warmth and beauty to your home.